Opening bonnet reveals beautifully detailed engine bay. Size 200 x 90 x 80mm. 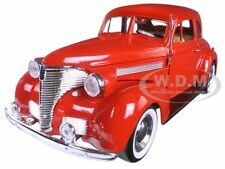 Competitive Pricing and Unrivaled Selection We are the number one direct distributor of diecast model cars in the USA, so we are able to provide very competitive pricing. Has opening doors, hood, and trunk. ADVANCE ORDERS / PRE-ORDERS / PRE-SALES •Item feature rubber tires, detailed interior and exterior. We get 100's. The box has been opened but the contents inside are sealed in plastic bags. THESE HOBBY PARTS REQUIRE WORK AND CERTAIN EXPERIENCE WITH PROPER HOBBY TOOLS. Made By Jada. VERY RARE ITEM. Official Chevrolet graphics. Competitive Pricing and Unrivaled Selection We are the number one direct distributor of diecast model cars in the USA, so we are able to provide very competitive pricing. Competitive Pricing and Unrivaled Selection We are the number one direct distributor of diecast model cars in the USA, so we are able to provide very competitive pricing. Authentic decoration. Majorette Chevrolet Corvette Roadster Diecast Model Car 1/24 Rare Hot Pink!!! Hood and doors open! Car is mint. New in it's original box! This is a danbury mint rare 1/24 scale 1968 Chevrolet Corvette convertible in dark green with removable tan top.Paint is excellent except for a few bubbles where I'm pointing to in pictures and the hood so minimal but required to say so. Maisto 2015 Chevrolet Corvette Stingray C7 Z06 1:24 Custom. Exterior Color: Blue. Scale: 1:24. Model : 2017 CHEVROLET CAMARO SS FALKEN TIRES 1/24. MADE BY : GREENLIGHT. COLOR : BLUE / GREEN. M2 1957 Chevrolet BelAir Hardtop Titanium Chase 1/24 Scale 1 of 500 WALMART EXCL. Condition is New. Made By Maisto. Color: BLACK. 1/24 scale 1956 Chevy Belair “DUB”. Excellent condition, but one broken mirror. 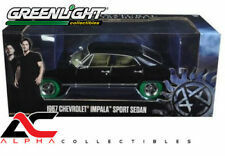 For sale is a Danbury Mint 1959 Chevy Impala Coupe Limited Edition # 256, with box and papers as seen in photo. The car is in like new condition. You are purchasing a new in box TESTORS CHEVY TRUCK 454 SS 1:24 scale #450059. Item ships USPS within 1 business day. U.S. SELLER. Thank you for your business. MADE BY : JADA. COLOR : LIGHT TURQUOISE.